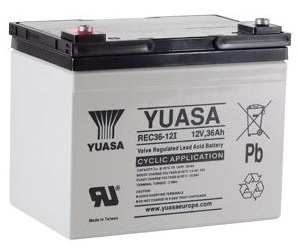 The Century Batteries brand continues to be the most recognised battery name in Australia and New Zealand today and an affiliate of the world renowned GS Yuasa Corporation, one of the world’s largest battery manufacturers with affiliates in 19 countries. 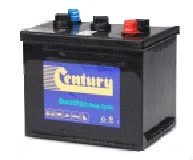 Today Century continue to lead the industry in the development, manufacture and supply of stored energy solutions across Australia and New Zealand. 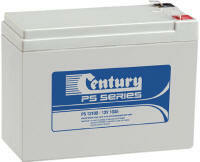 Century PS Series are AGM Sealed Lead Acid rechargeable batteries are a range of superior high quality, high performance general-purpose batteries designed to provide dependable primary and back-up power in domestic and commercial applications. 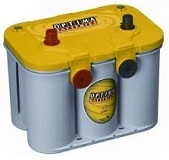 CENTURY SPECIALIST APPLICATIONS (Wet / Flooded Batteries) are built Tough to Last Century Deep Cycle Industrial batteries have the strength and durability to provide tough, dependable power in heavy duty and industrial applications. 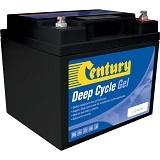 Century Deep Cycle Gel batteries utilise gel electrolyte technology, which holds the battery plates securely in an immobilised gel. 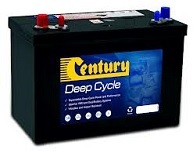 This design makes Century Deep Cycle Gel Batteries extremely robust in low rate discharge applications. The range is completely maintenance free, whilst the valve regulated sealed design enables installation in hard-to-reach locations and completely spill free.